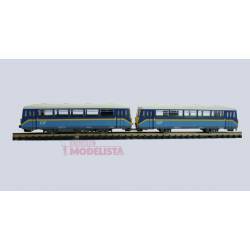 Inicio > Railway Model>Scale 1:160 - (N)>Locomotives>Spain>Electric locomotive 253, RENFE. Al comprar este producto puedes conseguir 113 puntos de fidelidad que podrás canjear por un descuento de . RENFE Operadora, electric locomotive, class 253, version without logos. Digital decoder plug: NEM 651. 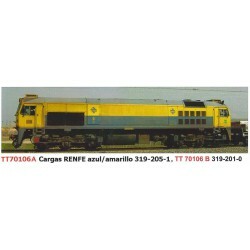 Diesel locomotive 10301, RENFE. Original version, corresponding with epoch III. Digital decoder plug (NEM 662). Directional lighting. 5-pole motor with flywheel. 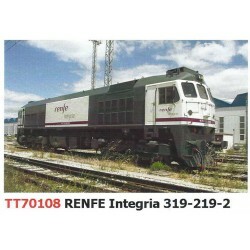 Diesel locomotive 319-219-2, RENFE. In Integria livery. For DC systems with NEM-plug for decoder installation. 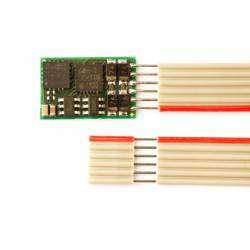 Decoder, 6-pin direct plug, 1.0A. Multisystem (SX1, SX2, DCC, MM, DC). With SUSI and Railcom interface. 4 output functions (2 x 150 mA for lights and 2 x 300 mA for auxiliary functions). 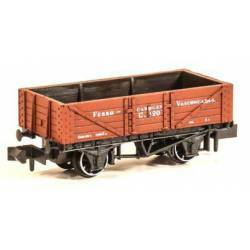 Railcar, GIF livery. Used for worker transport during the AVE lines construction by GIF. Railcar, GIF livery. 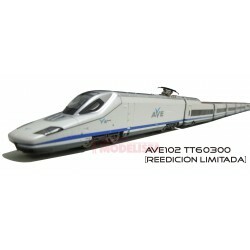 Used for worker transport during the AVE lines construction by ADIF. 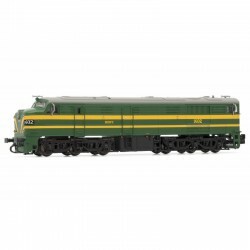 Diesel locomotive RENFE 333-384-6, in Azvi Traction Rail livery. 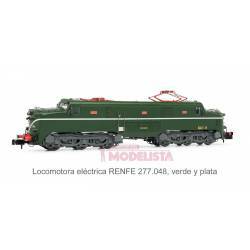 Electric locomotive RENFE 277.048. 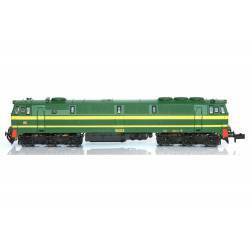 Green and silver livery. Electric locomotive RENFE 7702. Original state. 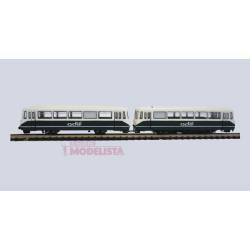 Locomotive series 1602, RENFE. Green and yellow livery. 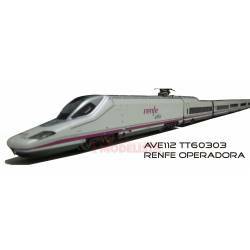 Locomotive series 316-017 (1617), RENFE. Green and yellow livery. Diesel locomotive 333-037, RENFE. Green and yellow livery. Corresponding with era IV. 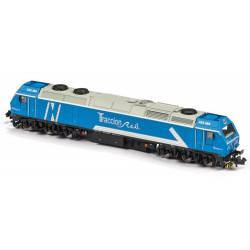 Suitable for DCC systems (Digital). Diesel locomotive 333-037, RENFE. Green and yellow livery. Corresponding with era IV. Suitable for DC systems, with Next18 interface for decoder installation. Diesel locomotive 333-037, RENFE. Green and yellow livery. Corresponding with era IV. Suitable for DCC systems (Digital) with sound functions. Diesel locomotive 333-005, RENFE. Taxi livery. Corresponding with era V. Suitable for DC systems, with Next18 interface for decoder installation. Diesel locomotive 333-005, RENFE. Taxi livery. Corresponding with era V. Suitable for DCC systems (Digital). Diesel locomotive 333-005, RENFE. Taxi livery. Corresponding with era V. Suitable for DCC systems (Digital) with sound functions. 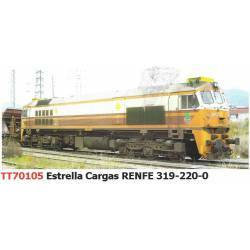 Diesel locomotive 319-220 "Estrella", RENFE. For DC systems with NEM-plug for decoder installation. Diesel locomotive 319-205-1, RENFE. In Blue-Yellow livery. For DC systems with NEM-plug for decoder installation. Diesel locomotive 319-201-0, RENFE. In Blue-Yellow livery. For DC systems with NEM-plug for decoder installation. 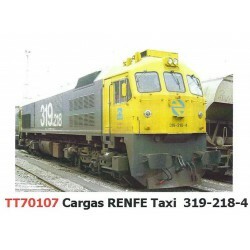 Diesel locomotive 319-218-4, RENFE. In Taxi livery. For DC systems with NEM-plug for decoder installation. 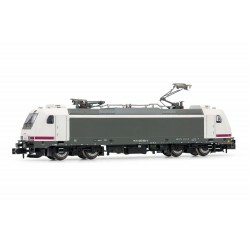 Diesel locomotive 319-203-6, RENFE. 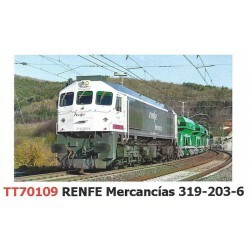 In Renfe Mercancías livery. For DC systems with NEM-plug for decoder installation. AVE series 102. 14 units set. For DC systems with NEM interface for decoder installation. 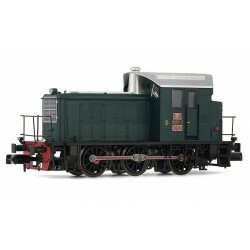 AVE series 112. 14 units set. "Caballo ganador" livery. For DC systems with NEM interface for decoder installation. AVE series 112. 14 units set. For DC systems with NEM interface for decoder installation. 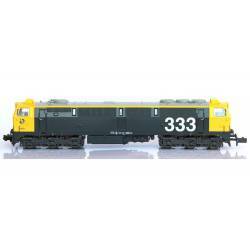 Diesel locomotive 333-046, RENFE. 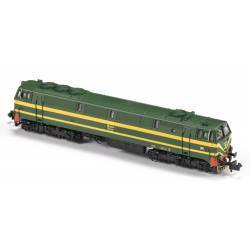 Green and yellow livery. Corresponding with era IV. Suitable for DC systems, with Next18 interface for decoder installation.